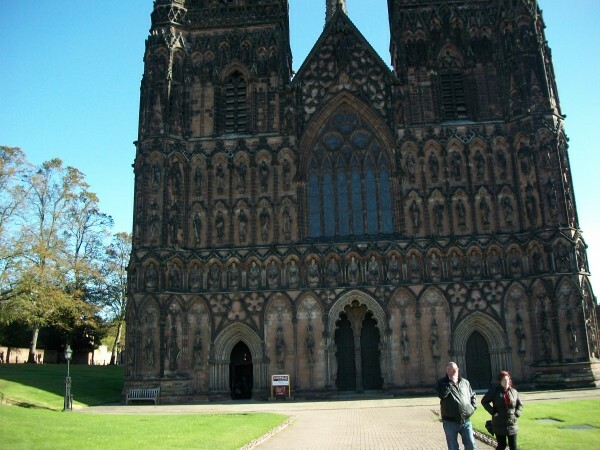 My sister's mother-in-law, Pat, took me to see Lichfield Cathedral. 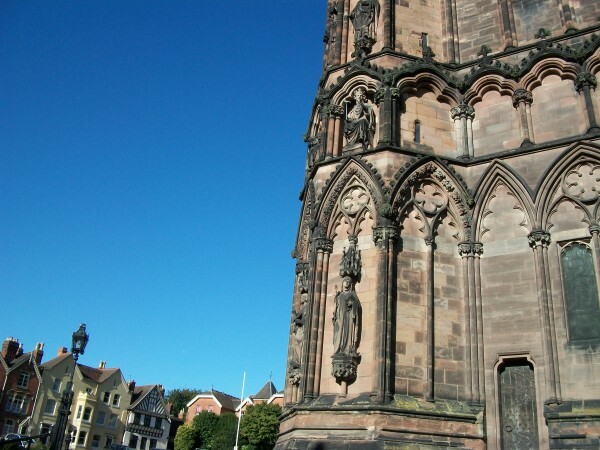 I know of Lichfield because of Robert of Huntingdon and Will Scarlet's marathon fistfight there. 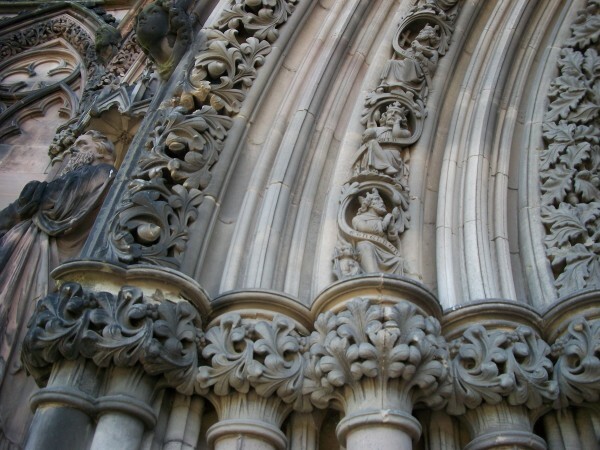 The cathedral is amazing because of all the wonderful carving. I haven't any photos of the inside, which was lovely, because I didn't want to disturb the atmosphere. 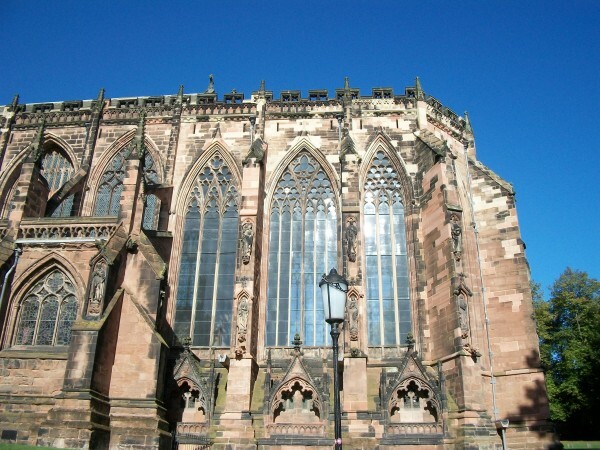 Apologies.There was a school choir and band practising in the cathedral. I don't know if they were playing religious or secular music, but they were glorious. 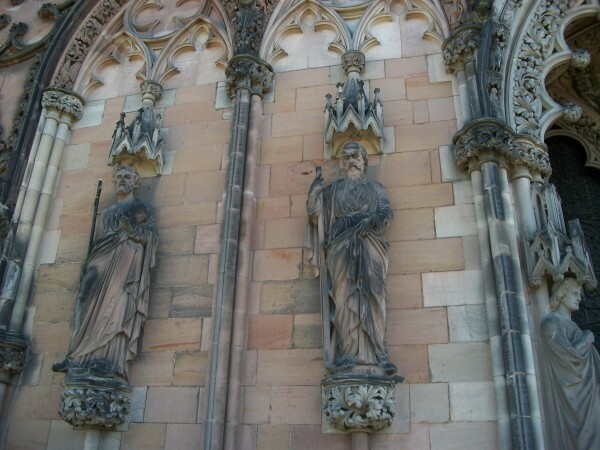 We walked quietly around the cathedral listening to them. We had a look at a display of some of the pieces of the Staffordshire Hoard. The garnet cloisonné pieces were particularly lovely despite being from weapons. 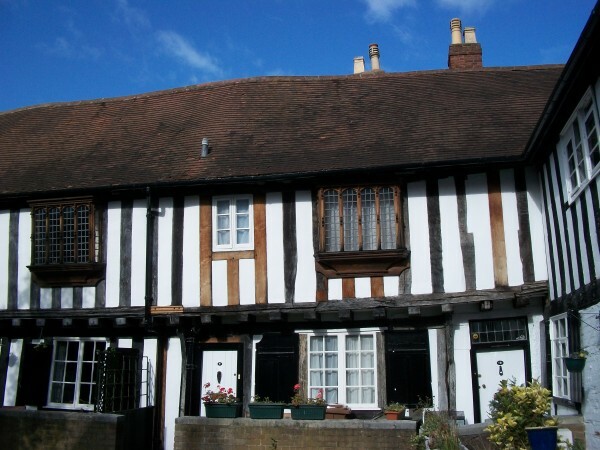 The 15th C alms houses in the Cathedral Close. The houses are lopsided from age. 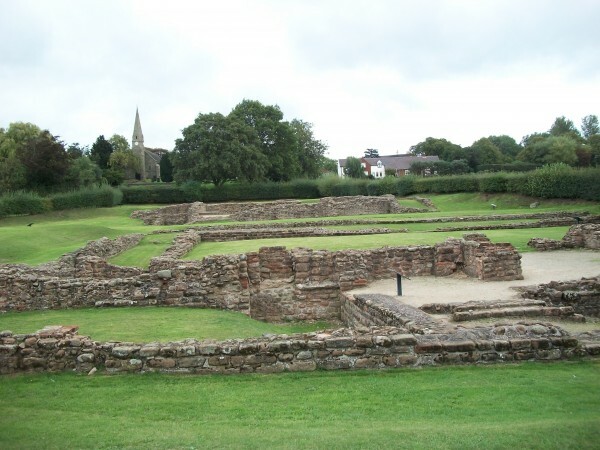 On the way home we stopped briefly to look at the Roman ruins in the village of Wall. I wonder if Neil Gaiman's village of Wall in Stardust is based on this one? Finally, the loot I bought myself. A York Lucky Cat. I bought several of those for other people. 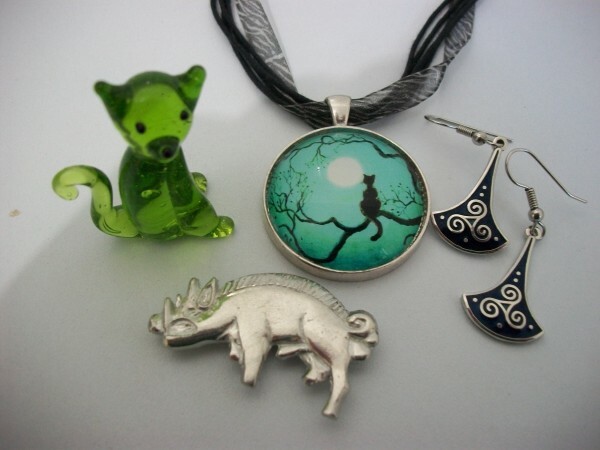 A necklace from the Cat Gallery shop in York. I bought three others as gifts. A pair of dark blue Celtic style earrings. A pewter replica of Richard III's boar badge. Yaaaaaaay! 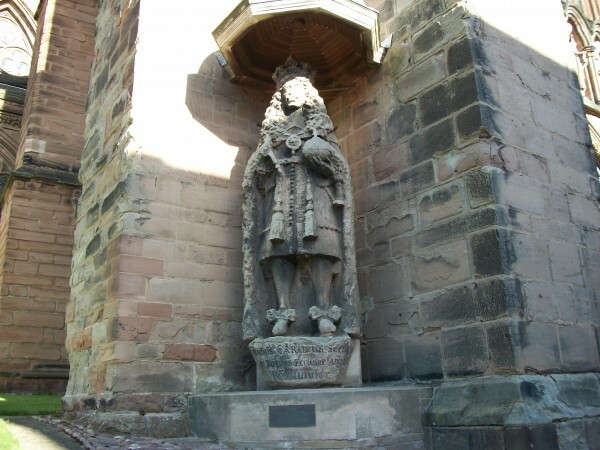 It's so cool that you made it to Lichfield! :-D The cathedral is gorgeous! I'm so glad you had an opportunity to see it and the Staffordshire Hoard. 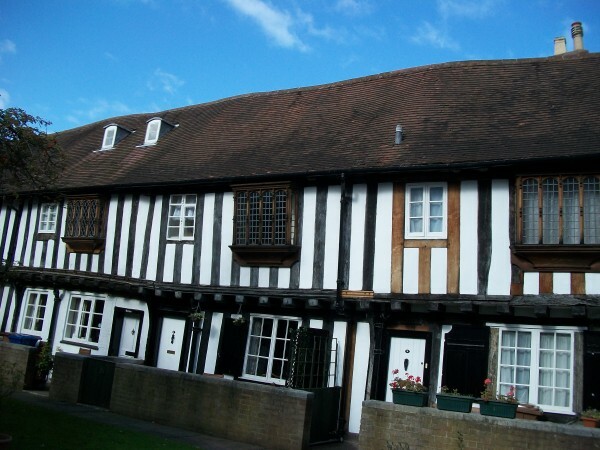 Love the houses in the Cathedral Close and those Roman ruins in Wall. It's completely the wrong time period and culture, but Wall reminds me a bit of Old Sarum. I hope you're enjoying the Gregory series. I liked the third one, The Kingmaker's Daughter, the best. 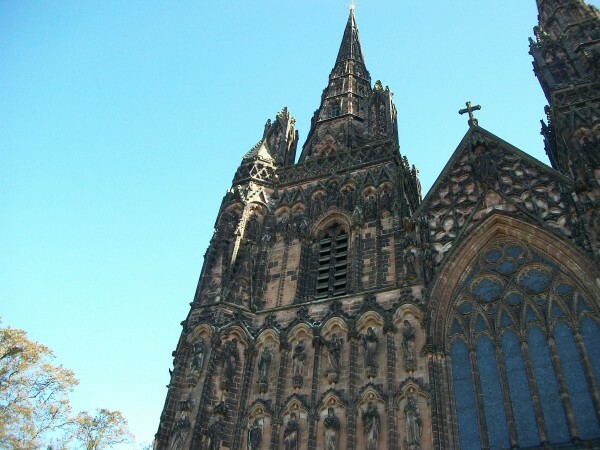 After seeing your pictures, I can understand why Lichfield is your favourite cathedral! :-) I'm not sure which cathedral is my favourite. 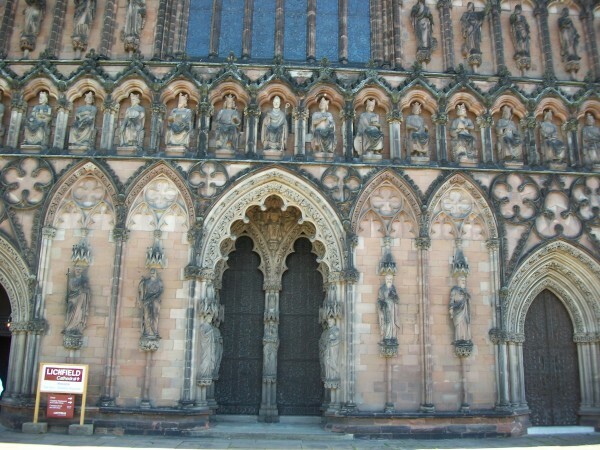 Maybe if I ever make it to Lichfield, it will become my favourite too. I was actually thinking that The Kingmaker's Daughter might be the most interesting book to read. So far, I'm favouring The Red Queen over The White Queen as I think Margaret Beaufort (whether you agree with her views or not) makes a more interesting narrator. 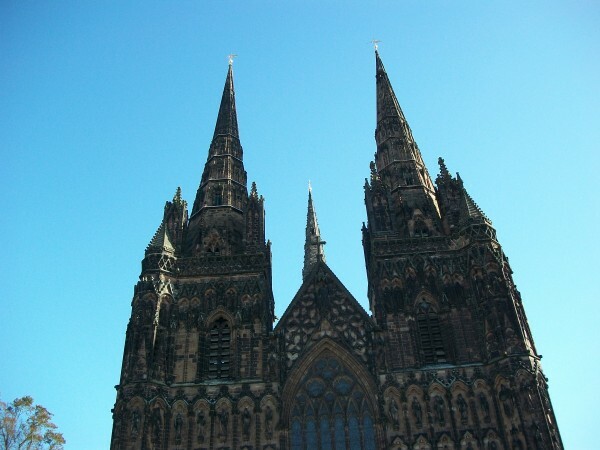 I was influenced by the choir and band in the cathedral, which made the visit a joyful experience. I agree that Margaret Beaufort is the more interesting narrator, especially as it's the first time I've read a novel from her point of view. 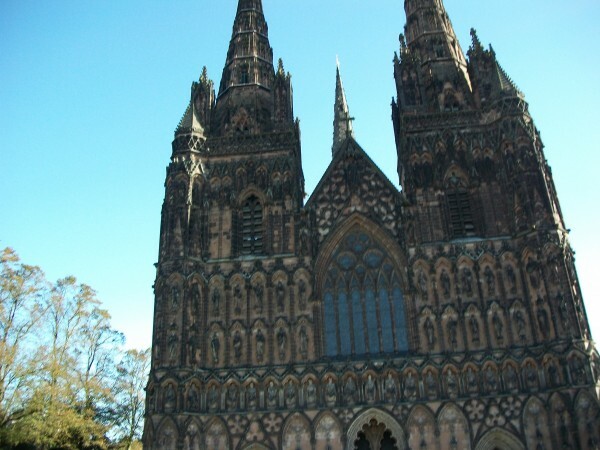 Lichfield! Oh my gosh, that's so exciting that you got to go there. Gorgeous pictures! Thanks. 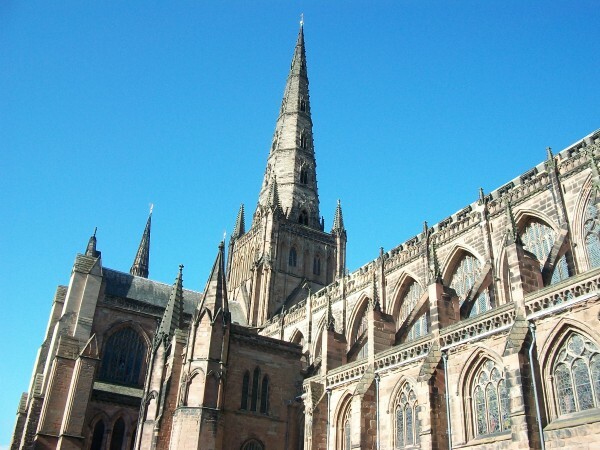 The Cathedral is definitely well-worth a visit.